Black mustard seeds have many benefits to offer. It is used in the preparation of many dishes. If you are not using it, you must start with them to make your health better.Black mustard seeds are packed with antioxidants, essential oils, fiber and phyto-nutrients. Black mustard seeds are the most pungent in flavor than other two types, like white and brown. These seeds come from a plant, which is actually a vegetable similar to cabbage, sprouts and broccoli. There are nearly 40 different varieties of mustard plants. These seeds are used to make medicines for common cold, painful muscles and joints. It acts a laxative and stimulant to gastric mucosa and is used to increase intestinal secretion. 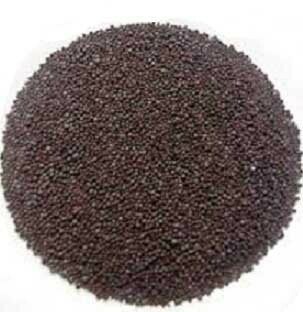 How to use black mustard seeds? Of course, these seeds are used in any foods directly. Many times, one can make the paste of its seeds by mixing them with warm water. Paste must be packed in cloth and then apply the cloth to the skin directly.